Following MATURE's presentation at the I-KNOW conference 2008, Credit Suisse has decided to join the MATURE associate partner network. "We would like to pass over the experience of organizational maturing into the MATURE project and on the other side implement some ideas that this project will generate. Besides that we would be happy to contribute our longtime experience in the field of knowledge management." The MATURE consortium considers Credit Suisse to be a valuable addition to the network. 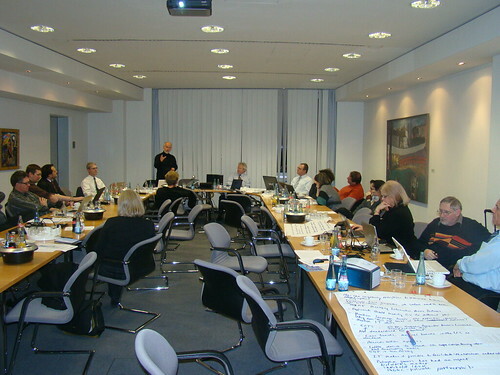 The recently started ICOPER project organized a workshop at the German Institute for Standardization (DIN) on December 4, 2008. The organizers managed to assemble most of the European projects dealing with competencies. The project aims at kicking off and fostering a standardization effort for a semantically enriched standard on competency-related issues, geared towards employability processes. 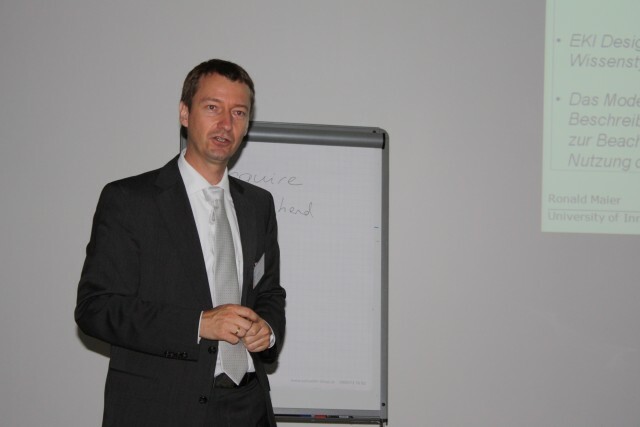 MATURE’s scientific coordinator Andreas Schmidt participated in and contributed to the workshop. 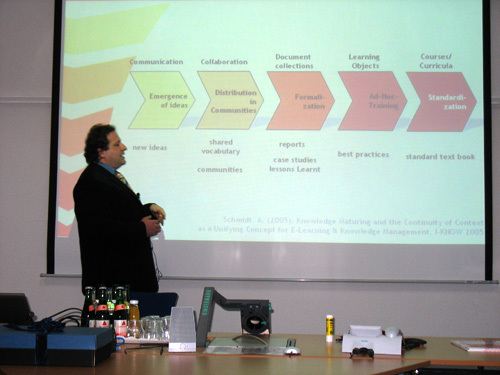 On the yearly knowledge management symposion organized by the AKWM Karlsruhe, Andreas Schmidt presented MATURE as one of the key activities in the knowledge management field of the iRegion Karlsruhe. The presentation particularly highlighted the potential of the knowledge maturing approach to overcome the separation of knowledge management and learning. At this year's ECTEL conference in Maastricht, MATURE took the opportunity to present the results of the first months to the European TEL community. Andreas Schmidt organized the Learning in Enterprise 2.0 workshop, which explored the implications of the Enterprise 2.0 movement and ideas to technology-enhanced learning. The I-KNOW conference, which is organized by the Know-Center in Graz is the yearly event for discussing new ideas on knowledge management, and learning support in corporate environments. All of them are partners or associate partners of MATURE. The Municipal Hospital Karlsruhe (Klinikum Karlsruhe gGmbH)has joined the MATURE associate partner network and participates in the ethnographic studies in their training department for the nursery domain. The hospital is particulary interested in improving their training processes to accomodate to the changing requirements in the health care sector. The second MATURE consortium meeting took place at Innsbruck in the beautiful Tyrolean alps, hosted by Ronald Maier and his team. The meeting was characterized by the continuing good spirit of the project team. On the first day, there was an ethnographers' meeting. With the ethographic studies starting in August, the UIBK team has provided extensive preparation material and their first experiences with a pre-study.